The name may sound familiar, if that’s what you’re thinking. The original Honda HR-V was introduced in 1999 but was eventually faded out just a few years before the mini SUV revolution was sparked. As a car that was ahead of its time back in the 90’s, Honda has decided it’s time for a revamp and the new HR-V is the latest mini SUV to hit showrooms this autumn. As baby SUV sales reached 87,000 in 2013, there is no denying that Honda has picked the right time to introduce this new addition to the market. Going up against competitors such as the Nissan Juke, Vauxhall Mokka and Renault Captur, the new HR-V has got its work cut out but from what we already know, there’s nothing 90’s about it! Honda have made the latest model smaller and calls it a ‘coupe-inspired silhouette’ with rear door handles that are cunningly hidden and stylish body panels all round. The interior is smart and spacious as you would expect from a crossover with Honda’s ‘Magic Seats’ confirmed to allow the back bench seats to fold flat, maximising the already impressive 453 litre boot to a huge 1026 litres according to Honda’s claims. In terms of tech, the HR-V does not disappoint with climate control, cruise control and automatic headlights as standard. A seven-inch touchscreen takes care of the infotainment system that Honda claims can handle internet browsing as well as real-time traffic updates, weather reports and music streaming using an Android system that functions just like the smartphone. If you choose to spend a little more for upgraded models, the SE offers all round parking sensors, rain sensing window wipers and an upgraded audio system. The Navi model, as the name suggests, comes with Garmin sat nav to make sure you stay right on track. Those who want to go all the way will bask in the luxurious top-spec EX model that comes with even more added extras including a panoramic sunroof, full leather upholstery and 17 inch alloy wheels as well as keyless entry. The HR-V will offer a choice of either a 1.5 litre i-VTEC petrol engine offering 128bhp or a 1.6 litre i-DTEC diesel engine that gives 118bhp, both available as front wheel drive only in the UK. The petrol engine can also come with an automatic transmission which also makes the car a better option than the manual for those watching their carbon footprint. 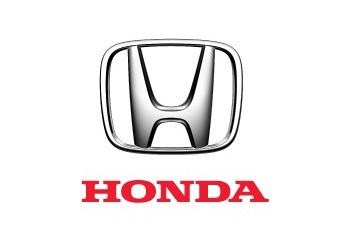 Honda states the CVT auto transmission can manage 54mpg and 120g/km C02, manuals achieve 50mpg and 130g/km. The emissions on the diesel are notably lower with 104g/km and around 70mpg being achieved. Safety features also seem to be hot on Honda’s list and many new options are available to add to the already impressive features. On all but entry level models, a driver assist system boasts lane-departure warning, speed assist, forward collision warning and traffic sign recognition to spot hazards ahead. A smoother, quieter ‘saloon like’ drive that’s packed with gadgets and looks as good as it drives is on the cards for those looking to bag themselves a HR-V once they hit the market in the new month. For more information on the HR-V including test drives and finance options once the new addition arrives, please contact our Honda showroom or come in and see us to find out more and to take a look at our Honda range.